Paul is a lifelong Naperville resident. 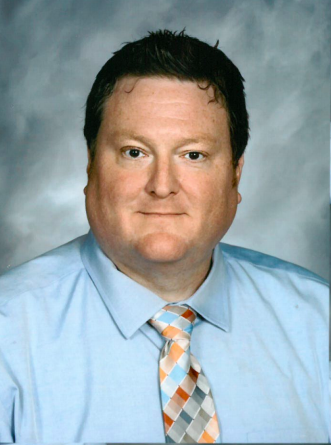 A product of District 204, he attended Wheatland Elementary School, Hill Jr. High, and Waubonsie Valley High School. He graduated in 2000 from Illinois State University, earning degrees in Elementary Education & Psychology. He earned a Master’s Degree in Educational Leadership from Benedictine University in 2010 as well. He taught 3rd & 5th grade at White Eagle Elementary from 2000 to 2014. He currently lives in Naperville with his wife, Rebecca, and dog, Sloane. In addition to being IPEA Vice President – Elementary South from 2008 to 2014, he has served as Senator, IPEA Secretary and has been a member of six negotiating teams. Paul has served as IPEA President since 2014. Mary has lived in Naperville since 1972. After attending schools in District 203, she graduated from the University of North Dakota in 1990. In addition, she received her Masters in Curriculum Development from National Louis in 1994. Mary is beginning her 28th year in District 204. She has worked at McCarty, Gombert and Owen Elementary Schools. She has taught K,1,2 and 3. Mary currently works at Owen as a third grade teacher. Mary lives in Naperville. Mary is an avid runner and has been an IPEF Runner for the past 3 years. Mary is a HUGE CUB Fan as well!! Mary has served the Association as a Senator, Representative, Elementary VP, (Early 2000’s) IPEA Scholarship Chairperson (currently) and a Bargaining Team Member. This is Mary’s second year as IPEA Vice President. If you need to contact Mary, she can be reached at 630-375-3485 or via email at MerryIrish34-at-yahoo-dot-com. 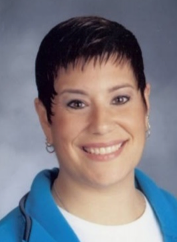 Jenn was hired in District 204, with 5 years of teaching experience, to open Builta Elementary in 1999 as their Physical Education teacher. She still teaches at Builta and now also Welch. 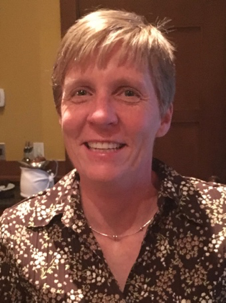 She received her Bachelor of Science in Physical Education from Illinois State University in 1994 and her Master’s Degree in Educational Leadership and Administration from North Central College in 2002. Jenn began working with the Indian Prairie Education Association as a Building Representative, eventually becoming the Building Senator. In 2014 she took over the position of Vice President of Elementary South when Paul Gamboa was elected President of the Association. Jenn has served as Vice President since 2014. If you need to contact Jenn, she can be reached at elemvpsouth-at-gmail-dot-com. Dwight graduated from Northern Illinois University in 1991 with an Education Degree. 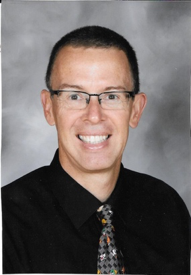 He has Masters’ Degrees in Teaching (2002) and Educational Leadership (2003) from Aurora University. He has been teaching at Granger since 2001. He currently lives in Oswego with his wife, Nancy, three boys, Collin, Eric, and Henry, pet dog, Lucy, and cat, Sophie. He is an avid runner, and will be running for IPEF for the second year in a row. Dwight has served the Association as a Senator, Bargaining Facilitator, and on three negotiating teams. Dwight has served as Vice President – Middle School since 2014. If you need to contact Dwight, he can be reached at DwightHNelson-at-yahoo-dot-com. Katie is a product of District 204, having attended Hill Middle School and Waubonsie Valley. She is a 1999 graduate of University of Missouri-Columbia where she earned a degree in Communications. She has also earned two Master’s Degrees in Teaching and Educational Leadership from National Louis and St. Francis respectfully. 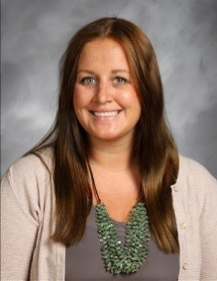 Katie teaches American Government, Online American Government, and World Geography at Neuqua Valley High School. She currently lives in Plainfield with her husband, Mike. In addition to being IPEA Vice President – High School, she has served a Senator and IPEA Bylaws Chair and has been a member of the negotiating team. In addition she served as IPEA Bargaining Facilitator in 2017-18. Katie has served as IPEA Vice President – High School since 2016. If you need to contact Katie, she can reached at KatieKnopp163-at-gmail-dot-com. 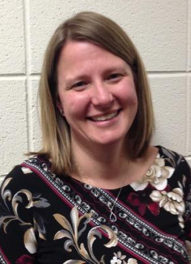 Kara teaches Family and Consumer Sciences at Metea Valley High School. Kara has also taught FACS at Granger and Still Middle School. She graduated from Eastern Illinois University in 2010 earning a Bachelor’s degree in Family and Consumer Sciences Education. She has also earned a Master’s Degree in Educational Technology from Concordia University Chicago in 2016. Kara has served as Communications Liaison since 2016. If you need to contact Kara, she can be reached at karaconnolly6118-at-gmail-dot-com. Cathy teaches 6th grade math and social studies at Scullen Middle School. She started her teaching career in 1988 at St. Alexander before coming to IPSD in 1998. After teaching for three years at Gregory Middle School, she helped open Scullen Middle in 2001. She has taught 6th grade math and social studies her entire term in the district. She started coaching track in 2002 and has been active in building leadership at Scullen both in the Team Coordinator role and as Lead Teacher since 2008. She has also served on several committees with the district. Cathy earned her Bachelor of Science in Education from Illinois State University and her Master of Arts in Education from North Central College. She began her IPEA service in 1999, as a building representative and then later became a Senator for Scullen. Cathy has served as Membership Chairperson since 2004. Kathy teaches business at Metea Valley High School. In addition,to serving as Senator to both Waubonsie Valley and Metea Valley, Kathy served as Vice President – High School from 2006-2009 and also served as a Bargaining Facilitator. Kathy has served as IPEA Secretary since 2013. 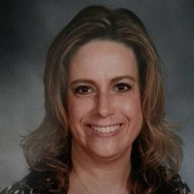 Kathy was hired in District 204 in 1988 to teach 6th grade at Gregory Middle School. She continued in that position until 2012 when she switched to teaching 6th/7th PA Math and Social Studies. She graduated from Western Illinois University in 1986 with a bachelor’s degree in Elementary Education. She completed her Master’s Degree from National College of Education – Evanston in 1988. Over the years Kathy has been involved in the Association as: Region 52 Chair, Region 52 Vice-Chair, Region 52 council member, bargaining team member (3 contracts), building representative, IEA and NEA delegate, insurance committee member, and stipend committee member. Currently she serves on the SLO Committee, Joint PERA Committee, and Region 52 as Vice-Chair (2016-2019). Her hobbies include traveling, skiing, golfing, fishing, coaching, biking, and walking. 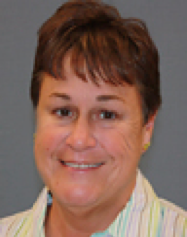 Kathy has served as IPEA Treasurer since 1999. If you need to contact Kathy, she can be reached at Jun2Dec26-at-comcast-dot-net.